WHERE DOES EARTH AND LIFE INGREDIENTS COME FROM? iIt is time for step 5 about the origins of earth and life ingredients. You will read about atoms and where they were created and are found today. Willy Kinberg started his discussion about the creation of the world’s out of his last supernova and nebula observation in February 1901. He was on the correct track. I wrote about his theory in another post (click here to read about it.). We know today that Earth and all its ecosystem with its billion years evolution would have not have been occured without a massive star Supernova in this planet system neighborhood. So the stars Willy and the astronomer of his time saw had indeed to do with the “creation of the worlds” and the life on it. Willy talks about how the planets and organisms were formed in his book but I will come back to this later. I will in this post only talk about the origin of the atoms and were these are found. 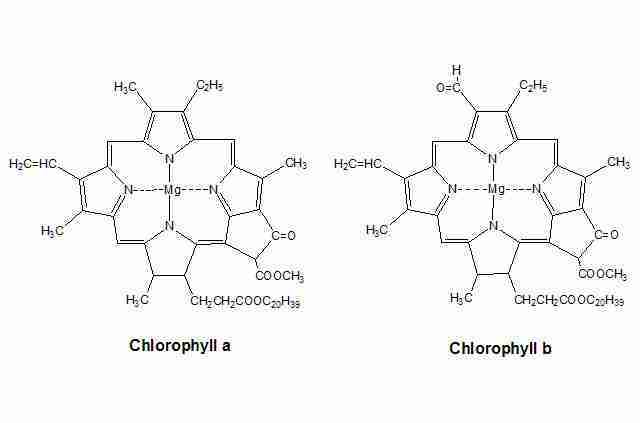 Body and plants needs a lot of different kind of atoms to build Chlorophyll, DNA, enzyme, proteins, fat, etc. These atoms are created in different parts of the Universe. Scroll down to Nucelosynthesis to read more about this. Some enzymes contain Magnesium (Mg). 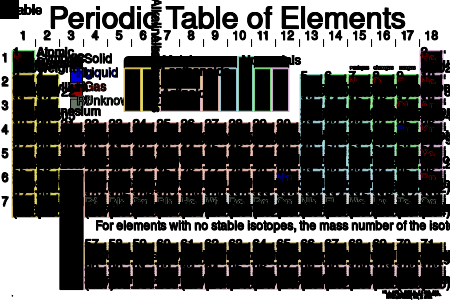 All the atoms are ordered in a Periodic system (Click on the image to get a full size view ). check eg “ Uses and properties -> Biological role”. Where and when are the atoms created? 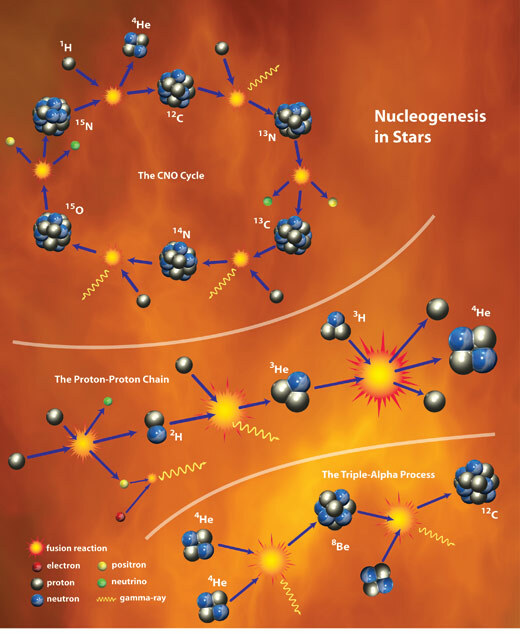 Atoms have been built from the very start of Big Bang (Big bang nucleosynthesis). 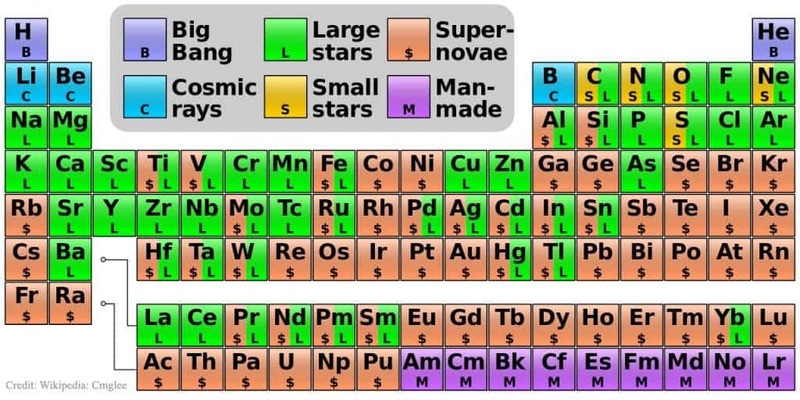 other heavier atoms, up to Iron are built in stars (stellar nucleosynthesis) and the heaviest in Supernova (Supernova nucleosynthesis) Look at this periodic table with info about the origins of the atoms. This image shows how atom nuclei collide forming bigger nuclei. Willy saw a “new star” in february 1901. We know today it was a supernova. We know also that there are two types of supernovae. Our sun is to small and will end up as a red giant and eventually teminate a a white dwarf. If there is a companion star nearby ( maybe the Jupiter gas planet surviving the red giant phase and igniting?) a type 1a Supernova will appear. A star that is a t least 8 time bigger than our sun terminates as a red supergiant and collapses creating a supernova type II. As it was a recurrent observation, today we know Willy probably saw a type Ia supernova. We have news about type II supernova from Max Planck Institute for Astrophysics. Supernova studies are complicated because of disturbing signals in the Universe. The only way to come closer is making computer calculations/simulations with powerful computers based on observations and known physical mathematics. These calculations have been made at Max Planck Institute for Astrophysics in Germany and 2010 came the first results of a 3D modeling simulation. They seem to have based their calculation out of detailed observations of SN 1987A a type II supernova in the Tarantula Nebula in the Large Magellanic Cloud, our neighbouring galaxy, about 170,000 light years away. 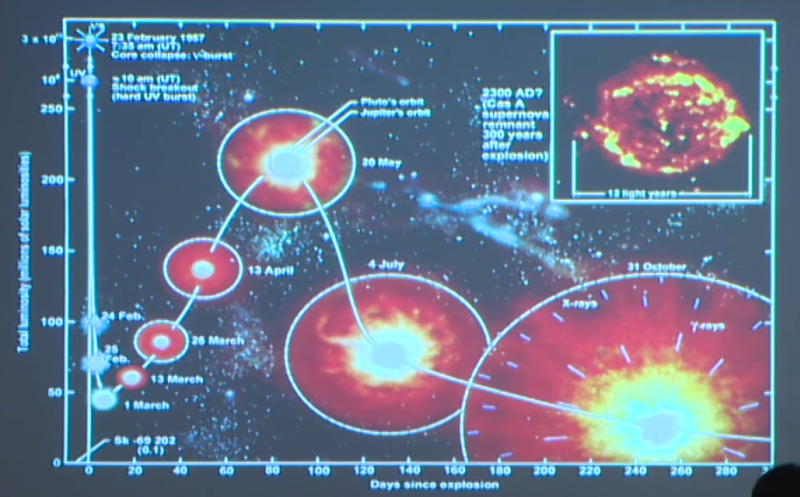 SN1987A was seen about twenty years ago. 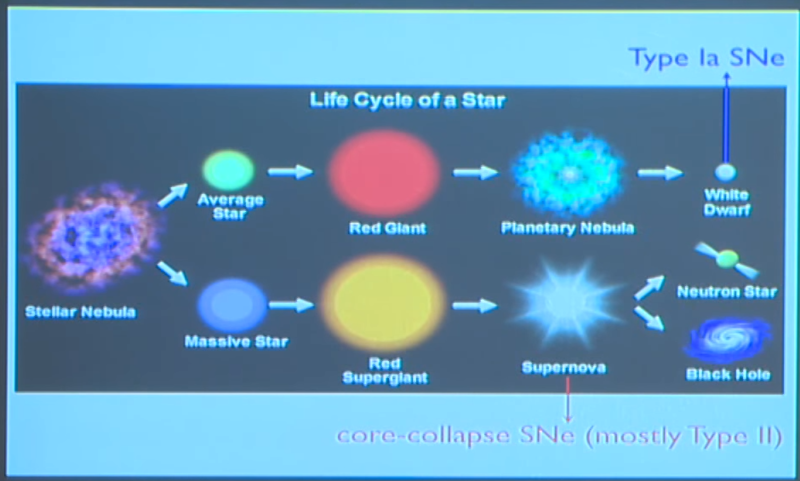 A more advanced lecture telling about the difference between type 1a supernova observed by Willy and a type II supernova is well explained in this video with Yong-Zhong Qian.. To understand how stars are building up big atom nuclei with many neutrons with Helium nuclei protons, you should be familiar with neutrinos. 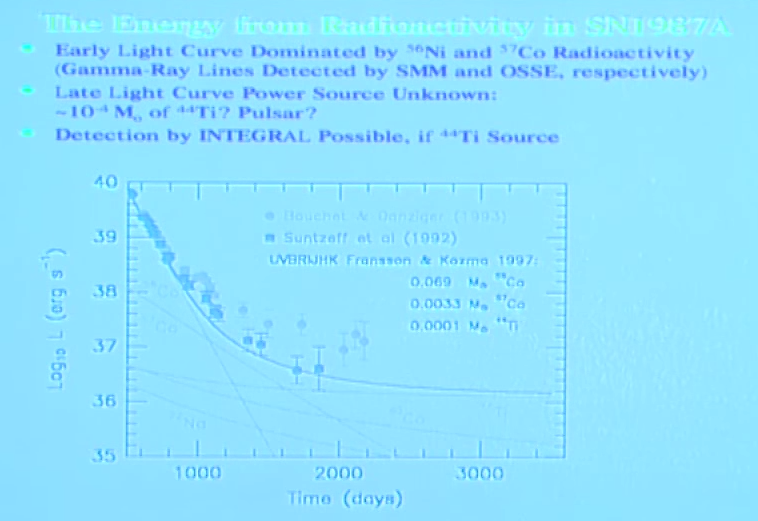 You will also learn more details about SN1987A with Yong in his video. Previous PostThe Satanic freedomNext PostIs God a mathematician?